Yanrui Wu is an economist specializing in development economics, international trade and applied econometrics. His research interests include the Asian economies (particularly, China and India), productivity analysis, economic growth, resource and environmental economics. He has published extensively in these fields including several authored books. Fukunari Kimura is Chief Economist of Economic Research Institute for ASEAN and East Asia (ERIA) and a full professor at Faculty of Economics, Keio University. He specializes in international trade and development economics, particularly working on various topics related to production networks and economic integration. He obtained PhD (economics) at the University of Wisconsin-Madison in 1991. 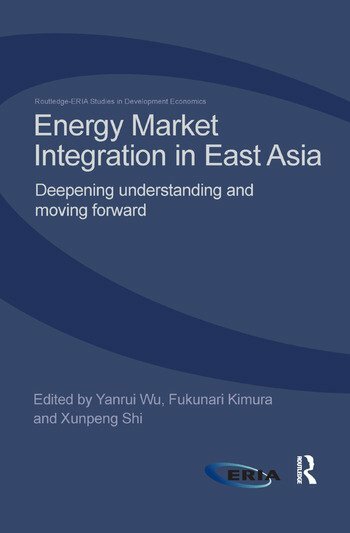 Xunpeng Shi is an energy economist at Economic Research Institute for ASEAN and East Asia (ERIA). He specializes in environmental and resource economics, development economics, and the Chinese economy. He obtained his PhD of Economics and Master of Environmental and Resource Economics from the Australian National University and LLM of Mineral Law and Policy from University of Dundee.